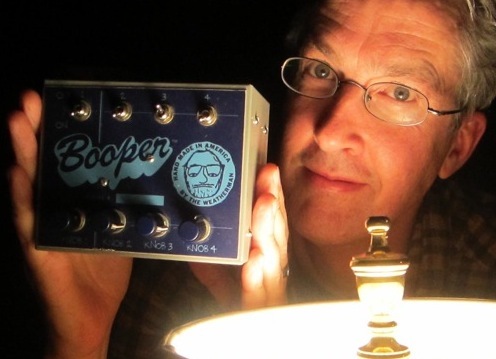 Presented by ISEA2013 and Vivid Sydney, “Adventures In Illegal Art: Creative Media Resistance, Negativland, and the Fight To Not Be Absorbed” is a 90-minute storytelling and film presentation by Mark Hosler, founding member of the audio visual collage group Negativland. No lawyers were harmed in the making of this event. Pranks, media hoaxes, media literacy, the art of audio and visual collage, creative activism in a media saturated multi-national world, file sharing, intellectual property issues, evolving notions of art and ownership and law in a digital age, artistic and funny critiques of mass media and culture, so-called “culture jamming” (a term coined by Negativland way back in 1984) … if you are interested in any of these issues you’re sure to find this funny and thought provoking presentation worth your time and attention. Is Negativland a “band”? Media hoaxers? Activists? Musicians? Filmmakers? Culture jammers? An inspiration for the unwashed many? A nuisance for the corporate few? Decide for yourself in this presentation that uses films and stories to illustrate some of the creative projects, hoaxes, pranks and “culture jamming” that Negativland has been doing since 1980. More about Mark and Negativland – Since 1980 Negativland have been creating records, video, visual art works, radio, and live performance, using appropriated sound, image and text. Taken mostly from corporately owned mass culture, Negativland re-arranges these found bits and pieces to make them say and suggest things that they never intended to. In doing this kind of cultural archaeology and “culture jamming” (a term they coined way back in 1984), Negativland have been sued twice for copyright infringement. As a member of Negativland Mark has given over 100 lectures on these issues at various places like MIT, Yale, Princeton, Duke University, New York University, UC Irvine, UC Berkeley UCLA, Seattle University School of Law, Cranbrook Academy of Art, Universities of Arizona, Virginia, Tennessee, Georgia, North Carolina, and at various venues in Washington D.C, New York City, London, Berlin, Barcelona, Lisbon, Bologna, Lausanne, Amsterdam, Stockholm, Toronto, Vancouver, Honolulu, and Melbourne Australia. He has also given talks at the Regional Conference to End Corporate Dominance, the Consumer Electronics Show, the Conference On The Public Domain, World Fair Use day, and, as a citizen lobbyist, given presentations about art and copyright law to the offices and staff of various Senators and Congressmen on Capitol Hill in Washington DC. In 1995 Negativland’s released a 270 page book with 72 minute CD entitled “FAIR USE: The Story of the Letter U and the Numeral 2″. This book documents their 4-year legal battle over their release of a single entitled “U2″. San Francisco filmmaker Craig Baldwin produced a feature length documentary about Negativland, their “U2″ single, culture jammers and other appropriation artists entitled “Sonic Outlaws” and Mark has appeared at many showings of this film to lecture, speak, debate, and answer the many questions that are raised whenever that film is shown. Negativland also created the soundtrack and sound design for Harold Boihem’s documentary “The Ad and the Ego,” an in-depth look into the hidden agendas of the corporate ad world that goes deeply into the gross and subtle ways that we are adversely affected by advertising. The group continues to perform and tour, broadcast their weekly radio show ‘”Over The Edge,” and more recent work includes “Our Favorite Things,” a feature length DVD collection of their many years of collaborative film work, and various retrospective art shows in Seattle, Minneapolis, Houston, and Los Angeles of their visual collage work. Negativland isn’t just some group of merry pranksters; its art is about tearing apart and reassembling found images to create new ones, in an attempt to make social, political and artistic statements. Hilarious and chilling. A provocation and a punk-inspired commentary on our mercenary culture…eloquent and impassioned spokesmen for ideas like a “creative commons”…it’s salutary to see these smart and influential guys get a gallery show. Negativland, longtime advocates of fair use allowances for pop media collage, are perhaps America’s most skilled plunderers from the detritus of 20th century commercial culture…the band’s latest project is razor sharp, microscopically focused, terribly fun and a bit psychotic. General admission tickets now available. You will be required to provide confirmation of your registration.